What are some lighting design strategies? Artificial light allows us to see and use both indoor and outdoor spaces in conditions that daylight alone does not allow. Natural daylight is one of our best lighting tools; however, augmenting with electric light is necessary in many spaces. Daylight is direct or diffused light from the sun, see more on Lighting with Daylighting page for building design that includes natural daylight as a light source including windows, clerestory windows, skylights, light tubes, and atriums. Illuminating spaces with layers of light helps us decide where to put the light and why we need it. Light sources can be hidden or featured.There is overlap between the layers when a light source does double duty. For example; a decorative pendant can provide both ambient light and also introduce elements of human scale to the space. Natural daylight enters a room through windows and doors and bounces off the ceiling, walls, and floors. Indirect lighting mimics this natural lighting effect and creates an even and soft lighting effect. 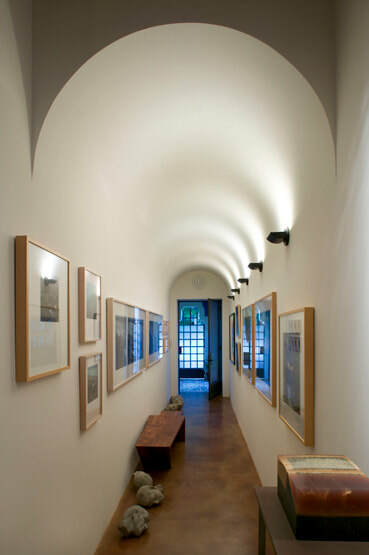 Barrel vault featuring indirect lighting for gallery within custom loft for architect Barry Berkus, AIA, lighting by Trish Odenthal. Life safety of building inhabitants is the first and most important reason for building codes. Additionally, energy codes are designed to save energy in order to reduce the need to build new power plants. The state of California Building Efficiency Standards Title 24 sets standards for energy consumption limits for lighting, heating, and cooling in addition to insulation requirements for windows, walls, and roofing. Commercial buildings and exteriors such as parking lots, over certain sizes, are required to include dimming and daylighting. ZNE is an energy-efficient building where, on a source energy basis, the actual annual consumed energy is less than or equal to the on-site renewable generated energy. Or another way to say it, "more electricity is produced on site than is used per year." The California Public Utilities Commission (CPUC), as part of implementing the California Long-Term Energy Efficiency Strategic Plan and its goal to have all new residential buildings be Zero Net Energy by 2020, and all new commercial buildings be Zero Net Energy beginning in 2030, is updating the Commercial Buildings ZNE Action Plan. 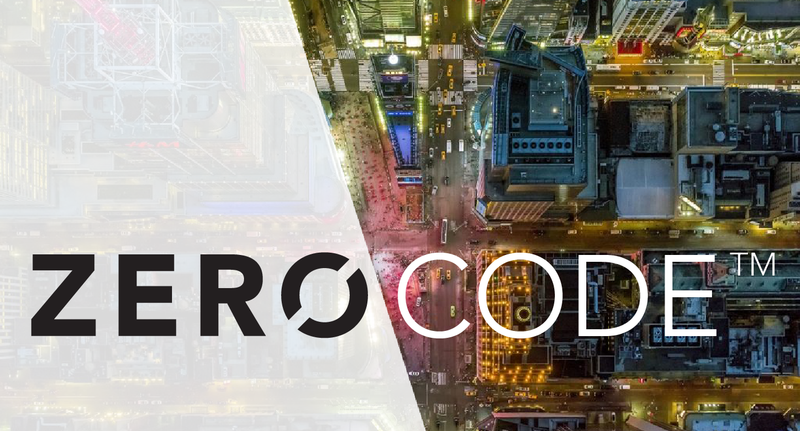 The first national and international ZERO Code standard for new commercial, institutional, and mid- to high-rise residential buildings. Architecture 2030, ​ a non-profit organization established in 2002, is excited to announce the publication of the ZERO Code standard for new building construction, which integrates cost-effective energy efficiency measures with on-site and/or off-site renewable energy resulting in Zero-Net-Carbon (ZNC) buildings. Glare is the effect of brightness or differences in brightness within the visual field sufficiently high to cause annoyance, discomfort or loss of visual performance. Visual discomfort caused by excessive brightness is called discomfort glare. Glare resulting from very bright sources of light in the field of view. It usually is associated with bright light from luminaires and windows. A direct glare source may affect occupant’s performance by reducing the apparent contrast of objects in the field of view, especially those near the source of light. Glare produced from a reflective surface. Glare resulting from bright reflections from polished, glossy, or illuminated objects and surfaces in the field of view. Veiling reflections reduce visual contrast and make it difficult to complete seeing tasks such as reading glossy magazines or looking through windows or at computer screens. Often windows or light fixtures will reflect off surfaces obscuring what is beneath, anticipate this visual obstacle by careful placement of lights, windows, and tasks. 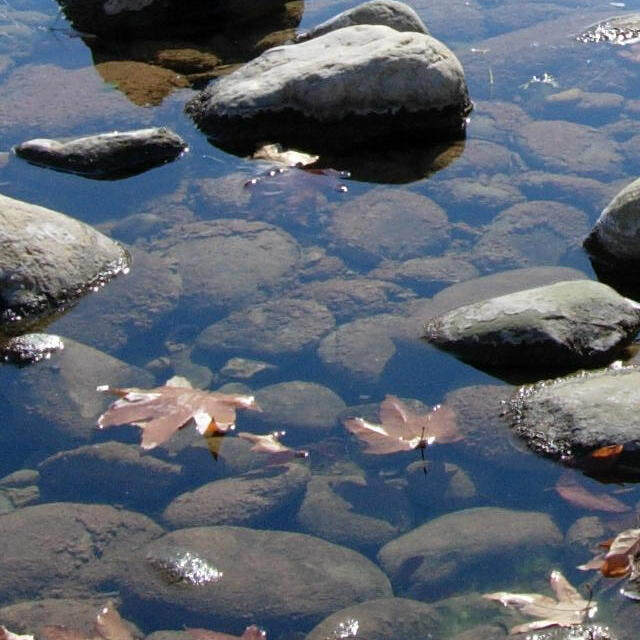 Remember with glare, 'the angle of incidence equals the angle of reflection' just like billiards. A rating system for evaluating direct discomfort glare. This method is a subjective evaluation of visual comfort, when viewing from a specific location and in a specified direction, expressed as the percent of occupants of a space who will be bothered by direct glare. VCP allows for several factors: luminaire luminances at different angles of view, luminaire size, room size, luminaire mounting height, illuminance, and room surface reflectivity. VCP tables are often provided as part of photometric reports. Visit Seniors and Low Vision page for more on reflectance.